Google Maps is crowdsourcing information based on people sitting in traffic, as mobile phones running Apple or Google operating systems use data and algorithms to create experiences and personalize search. If this data doesn't contribute to organic rankings on search engines today, it will soon, because companies like Hertz are very close to understanding from the keyword search to the cash register what drove the purchase in-store, says Jason White, director of SEO at Hertz. White opened the MediaPost Search Insider Summit on Thursday in Captiva, Florida, explaining that map data could be the missing piece to more accurately prove the return on investment for several types of media such as social campaigns. Google made more than 83 major algorithm updates since 2012 to create customer experiences and personalization for platforms for everything from Rank Brain to Knowledge Graph and the local algorithm Possum, White estimates. White also spoke about proximity targeting, which he believes will grow in popularity in the next couple of years. The technology gives Hertz the ability to learn about and attract walk-in customers. 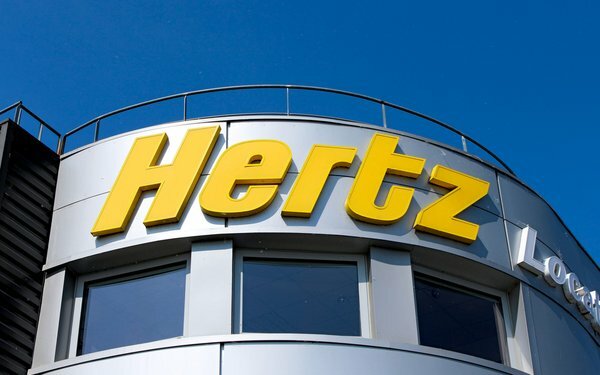 If someone has visited a business, Hertz will have the ability to serve ads to them at a future time. White views proximity targeting as the alternative to beacons, which he said "did not quite work for the local space." Proximity targeting, he says, is similar to Facebook gaining knowledge of a consumer's daily life and patterns. It will enable barnacles marketing, an SEO technique, across landmarks, such as airports, he said. The ultimate in ad targeting will come when Hertz can recognize when app users get off the plane and pick up their baggage. The company wants to give users a better experience and direct them to where they can pick up their car, without making a stop at a counter, so they can bypass long lines, he said. When Hertz has the capability to ping someone who is getting close to a location, knowing and integrating age and demographic are more crucial. Earlier this week, the Interactive Advertising Bureau (IAB) released estimates that mobile contributed 50.5% or $36.6 billion in 2016, up from $20.4 billion in 2015. Search revenue reached nearly $35 billion in 2016, up 19% from $29.5 billion in 2015. Mobile contributed $17.7 billion to the total, up 24% compared with the prior year. Classified and directories generated 3.2% or $2.3 billion, and lead generation generated 2.7% or $1.9%.